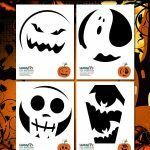 Our pumpkin stencils are incredibly popular right now, so I figured I should get some great Star Wars pumpkin stencils together for our Woo Jr. readers. I originally put up this post in 2009, and many of the original links are long gone, including the stencils on the official StarWars.com site. 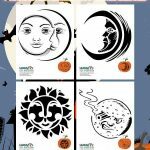 Though the official site has some newer stencils, they won’t all work for pumpkins – some pieces aren’t connected to anything. 🙁 It’s sad and frustrating to watch great content disappear on the web! So I’ve recreated some of the Star Wars characters stencils that are dead links, but please do drop us a note if you find the original sources again so that we can link to them. Here’s the originals I posted from 2009. 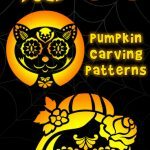 The orange and black pumpkin patterns of Yoda, Jabba the Hutt, Boba Fett and Darth Maul are drawn by illustrator Andrew Gruner and the links still work! The others below I’ve recreated above, obvs. 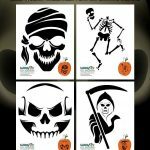 Need some tips on how to use these pumpkin stencils? Here’s our video instructions! 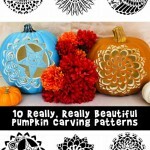 Really, Really Beautiful Pumpkin Stencils!